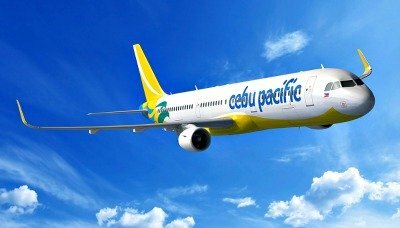 ​The Philippines' leading budget carrier, Cebu Pacific continues to invest in customer-facing Information and Communication Technology (ICT) solutions. In line with its commitment to dramatically improve customer service. CEB is investing over PHP60 Million per year over the next five years to implement digital platforms designed to make airport operations more efficient; and for a software system that verifies passengers' international travel documentation, via a real-time database of visa requirements of various countries. CEB tapped Levarti Ltd, a leading global developer of web-based and mobile platforms for the airline industry, to install its MAX Suite of mobile and desktop applications. Levarti's MAX platform includes MAX Airport, which is designed to streamline check-in operations. Linked to the carrier's internal systems, MAX Airport allows CEB terminal personnel to remotely check-in passengers, assign seats, facilitate payment for baggage and other ancillary services, and even print boarding passes. "The increasing number of travelers is outpacing current airport capacity and infrastructure. It is imperative we invest in technology and streamline processes to improve passenger throughput at check-in and lessen the pain points for our customers. The remote check-in devices are designed so that passengers can complete check-in procedures without ever having to fall in line at the counters. As MAX Airport speeds up the necessary steps, the airline's on-time performance is also expected to improve, thus reducing the occurrences of flight delays caused by these time-consuming procedures," said Michael Ivan Shau, Vice President for Airport Services of Cebu Pacific. TravelDoc has a comprehensive Travel Document Rule Library that displays each country's immigration, health and safety, and customs rules. Its key functionalities include a clear "Go or No Go" Go indication, along with clear instructions as to the documents needed and real-time online updates of travel rules information. This enables CEB check-in agents to expedite the process by cutting the time needed to verify travel requirements. The TravelDoc library also allows travelers to make better-informed decisions on how to travel to a chosen destination, while still in the process of searching for international flights. They can simply log into the Cebu Pacific website to check on travel requirements to visit a country before they actually book and pay. They can access the database via the "Plan Trip" page in the CEB website (https://www.cebupacificair.com/pages/plan-trip/travel-reminders/travel-documents). "As we expand our fleet and route network, there's also been a substantial focus on improving the customer experience. While CEB will continue to be a Low Cost Carrier, we recognize the need to ensure our passengers have a good experience flying with us," Shau added. Beyond year-round low fares and promotions such as the "Piso Fare," Cebu Pacific has introduced product innovations that offer greater convenience, value and choice for customers through the years. These include web and mobile check-in, self-serve check-in kiosks and a new in-flight menu. The carrier also set-up a Customer Command Center—one of the first airlines in Asia to do so—to better respond to customer concerns and feedback; monitor customer sentiment; and provide real-time updates. The carrier set a PHP27 Billion capital expenditure for 2017, the bulk of which was earmarked for fleet expansion. From January to September 2017, CEB has flown 14.9 Million passengers on over 500 flights a week to 25 international and 37 domestic destinations.